When Kirby's mother tells her she is going away for two years, and is leaving her with relatives she's never heard of, it is every teenage girl's nightmare. These relatives are members of a closed religious sect. They have no television, radio, newspapers or mirrors and Kirby mus... read full description below. Imagine that your mother tells you she's going away. She is going to leave you with relatives you've never heard of - and they are members of a strict religious cult. Your name is changed, and you are forced to follow the severe set of social standards set by the cult. There is no television, no radio, no newspaper. No mirrors. You must wear long, modest clothes. You don't know where your mother is, and you are beginning to question your own identity. I am not Esther is a gripping psychological thriller written by popular children's writer Fleur Beale. In Esther she creates an enthralling and utterly compelling portrait of a teenager going through her worst nightmare. Fleur Beale (Author) Fleur Beale is the author of many award-winning books for children and young adults - she has now had more than 40 books published in New Zealand, as well as being published in the United States and England. Beale is the only writer to have twice won the Storylines Gaelyn Gordon Award for a Much-Loved Book:with Slide the Corner in 2007, and I Am Not Esther in 2009. She won the Esther Glen Award for distinguished contribution to children's literature for Juno of Taris in the 2009 LIANZA Children's Book Awards. Fierce September won the YA category in the 2011 NZ Post Children's Book Awards and the LIANZA Young Adult Award in 2011. In 2012 she won the Margaret Mahy Medal for her outstanding contribution to children's writing and in 2015 she was made an Officer of the New Zealand Order of Merit. In 1999, Beale was Dunedin College of Education's Writer in Residence. A former high-school teacher, Beale lives in Wellington. 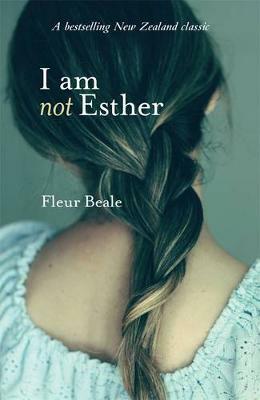 One of Beale's most well-known books is I Am Not Esther, the story of a girl who is sent to live with relatives who are members of a strict religious cult. It's a gripping psychological thriller that won an Honour Award in the 1990 New Zealand Post Children's Book Awards and features in the latest volume of 1001 Books You Must Read Before You Grow Up, produced by UK publisher Quintessence. It was reissued in 2012 and has been in print since first published. Magpies identified it as a novel that 'will have relevance wherever there are attempts to control the minds and emotions of children'. The bulk of Beale's writing is set in the contemporary world. Topics range from boys who fix up an old car to bash around a paddock with, a girl who must take over her father's business until he's well enough to take back the reins, to a story about a 15-year-old boy who is a top kart racer. The New Zealand Listener has called Beale 'one of the most consistently accomplished and versatile writers for teenagers in the country'. A 'strong storyteller' (Trevor Agnew, The Press) who is 'consistently engaging' (Frances Grant, Weekend Herald), Beale is a popular participant in the Writers in School programme, testifying that she is 'in touch with the modern young market' (Northern Advocate). Her entry in The Oxford Companion to New Zealand Literature noted that her characters are 'intensely aware of their difficulties, social troubles and shortcomings', and in so doing she exhibits 'her understanding of teenagers, male and female, and ability to motivate even reluctant readers'. Acclaimed as 'a riveting futuristic story', in the National Library's Services to Schools review,Juno of Tarris was likened to Bernard Beckett's Genesis and the 'classic' The Giver by Lois Lowry. The reviewer concluded: 'it is a brilliant story that completely enthralled me'. The sequel, Fierce September, was named one of The New Zealand Listener's '50 Best Children's Books of 2010', and North and South praised its narrative for its 'compelling authenticity', while the Otago Daily Times wrote: 'The writing is tight; the characterisation credible, and the narrative exciting.' The book's innovative technique of opening each chapter with a blog commentary on events was widely acclaimed, the reviewer in Magpies commenting that the 'cross-media technique of combining online blogs with traditional text ... brings the book vividly into our world'. Reviewing The Heart of Danger, the concluding volume in the Juno trilogy, in New Zealand Books, Angelina Sbroma identified Juno as a 'protagonist of wish-fulfilment fantasy in the grand tradition', but for all that is still a 'rounded character'. The book left Bob Docherty requesting a fourth volume.